We arrived in San Fransisco and it was summer. 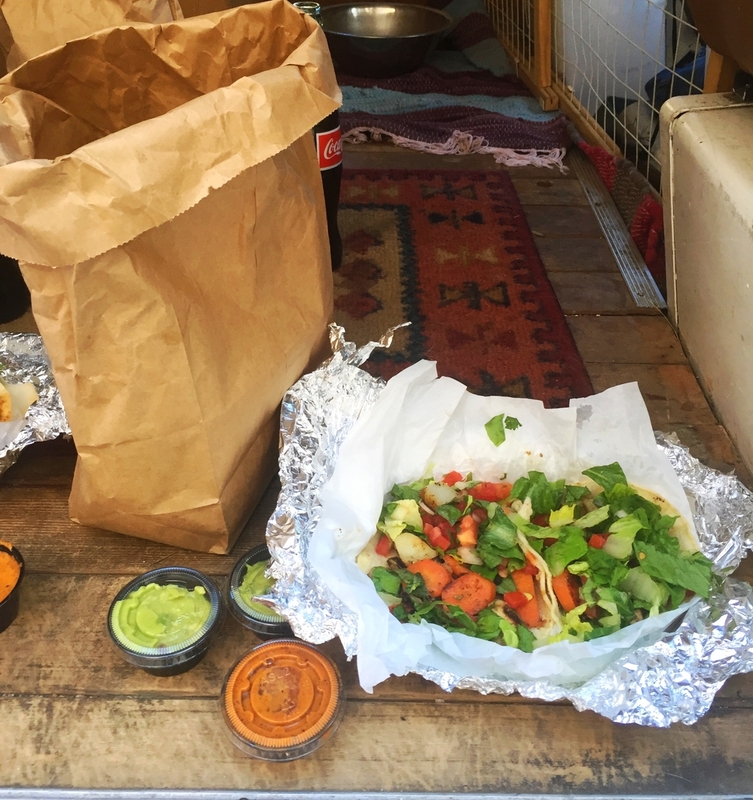 We grabbed takeout from Papalotes in the Mission- it was our first stop besides a turbo dog walk, and we elected to eat in the van with the doors open so as not to leave the pups on their own in the heat. 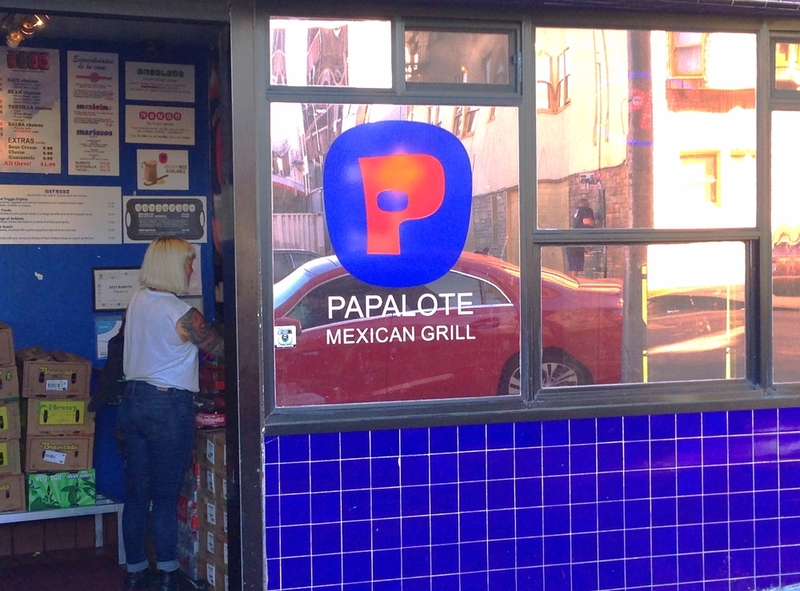 Papalote is pretty incredible, and has been in the neighbourhood for around 40 years, serving fresh and simple food and jars of their salsa which you should definitely buy a couple of. There are basic vegan options and lots of items which are already or can easily be made vegetarian, but it's not the faux-meat kind of place, and it doesn't need to be. We made what looked like a crime scene spilling mole from the tofu tacos on the sidewalk and took in the confusing contrasts of America's most expensive city to live in. It's an amazing place. There were friends to see after we reloaded, and there were dogs that needed to go to the beach! Dirty Donny, the incomparable illustrator and collector and pal, drove us to Ocean Beach in his righteous van to dig the sunset and work up an appetite. Supper was at Nick's Taco Bar on Irving St, which is a sports bar. Their menu is surprisingly full, and again, no meat-substitutes, but lots to choose from. We ordered veg tacos and elote corn and a couple of margaritas. The tacos have an option of being done "Nick's Way", which Donny wisely convinced us was the only way, and he was right. Whole pinto beans and fresh cabbage were a nice switch, but the small corn tortillas are served soft on the outside and hard on the inside. Perfect for you Libras out there. The hot sauces were all awesome and house made, which seems like the standard anywhere worth eating at. We went back to Donny's and saw his work space and pinball machines and various projects and collections and basically just wondered how anyone could be so cool.